The Minister of Finance announced in his Budget Speech of 21 February 2018 that the standard rate of VAT will increase from the current 14% to 15% with effect from 1 April 2018.
supplies made under instalment credit agreements. 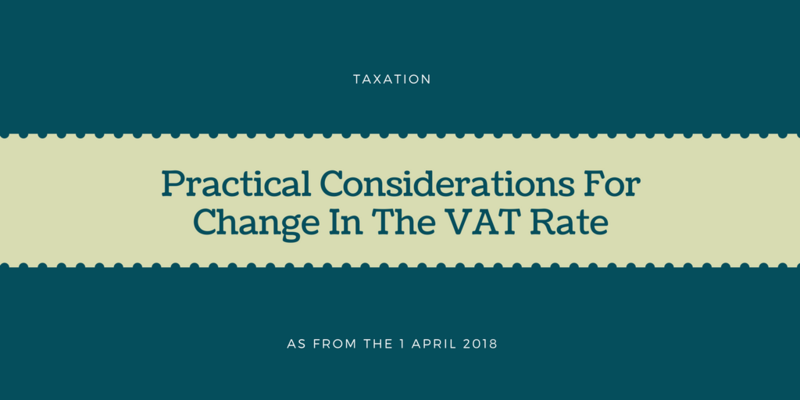 In addition, some rate specific rules could apply when there is a change in the VAT rate. Most transactions which occur on or after 1 April 2018 will be subject to VAT at the new rate of 15% unless a special time of supply rule or a rate specific rule applies. The rate specific transitional rules will be dealt with in another article, we’ll keep you posted. Has your accounting system been adapted to the new rate. More specifically are you invoicing customers at 15% rather than 14%. Get this wrong and SARS with slap you with penalties and interest. Can your accounting system cope with transition rules or is your bookkeeper aware of these rules to account for transactions correctly. At what rate should Credit Notes for sales prior to 1 April 2018 be processed. At what rate should Debit Notes for purchases prior to 1 April 2018 be processed. 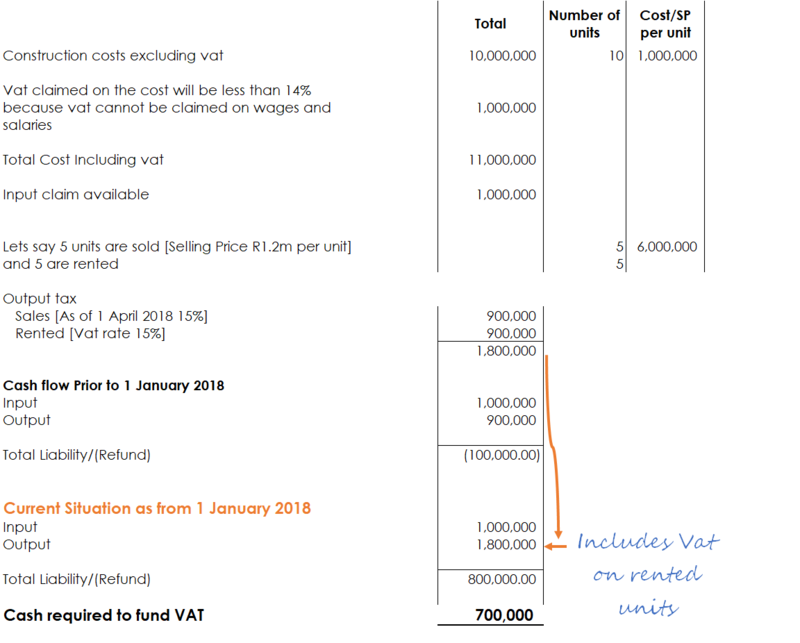 VAT Reconciliation should include additional items ie reconciling items to take the above into account and to justify a particular periods VAT Return. Most off the shelf accounting systems appear to have the above covered. In- house systems will rely on internal IT staff to make the necessary changes. Cloud accounting systems tailored to the South African market should have your back, however other systems adapted for our market need to make the changes required to comply. Billing systems which do not form part of the accounting system will also have to be changed to account for the rate change. E.g. Medical administration systems will have to bill patients at the new rate and deal with credits and other variations as per checklist below. Map the VAT 201 Report in line with your Time of Supply rules, if required by your accounting system. Make admin staff aware of changes and pay particular attention to transactions that occur after 1 April 2018 which relate to transactions prior to vat change rate date, e.g. Bad debts or credit notes processed after 1 April 2018 for invoices prior to this date; these should be processed at the old rate. Reconcile VAT at the end of the every vat period to ensure that all transactions have been recorded correctly i.e. at the correct rate, to justify using the old rate to SARS where permitted. 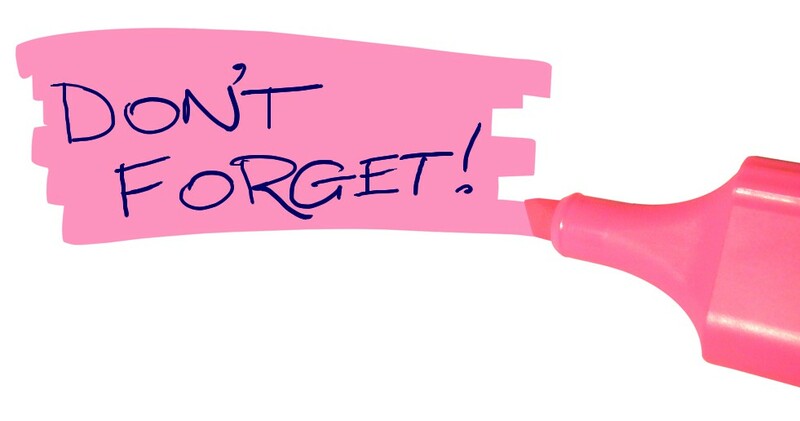 NB: Remember to also change the vat rate on recurring invoices, expenses, orders, etc. The information and material published on this website is provided for general purposes only and does not constitute legal advice. We make every effort to ensure that the content is updated regularly and to offer the most current and accurate information. Please consult one of our Professional staff on any specific problem or matter. We accept no responsibility for any loss or damage, whether direct or consequential, which may arise from reliance on the information contained in these pages. Please refer to the full terms and conditions on the website. Developers who build residential units must charge VAT at the standard rate (14%) when selling the units. The developers are entitled to claim VAT on the cost of supplies made to them, for example, building materials, etc. However, in some cases developers are not able to immediately sell the units which they have built. In those cases the developers often let the property to individuals until they are able to find buyers. The problem then is that there is a change of use for VAT purposes: the developer who held the units to sell as stock (and raising VAT at the standard rate) now starts using the units to supply a ‘dwelling’ (and raising no VAT as the supply is exempt from VAT). The effect of that ‘change of use’ is that the developer must account for VAT on the value of the units as if it had sold the units. Naturally, this has adverse cash flow consequences for the developer as it must fund the VAT out of its pocket. Fortunately, under s18B of the VAT Act, a developer in that position may let the unit for a period of 36 months after concluding the lease without triggering the VAT on the ‘change of use’. If the developer sells the unit during the 36 month period, the developer must account for VAT on the sale at the standard rate. If, however, the developer is not able to sell the unit within 36 months then, at the end of that period, there will be a change of use and the developer will have to account for VAT on the value of the unit as if it had sold the unit, i.e. at market value. Unfortunately, the reprieve provided by this section is no longer available. If the units are rented because they cannot be sold a ‘change of use’ is triggered and vat has to be immediately accounted for based on the market value of units sold or saleable. Property developers that find themselves in a cash flow squeeze, can approach SARS to pay the VAT amount due in instalments over an agreed period. 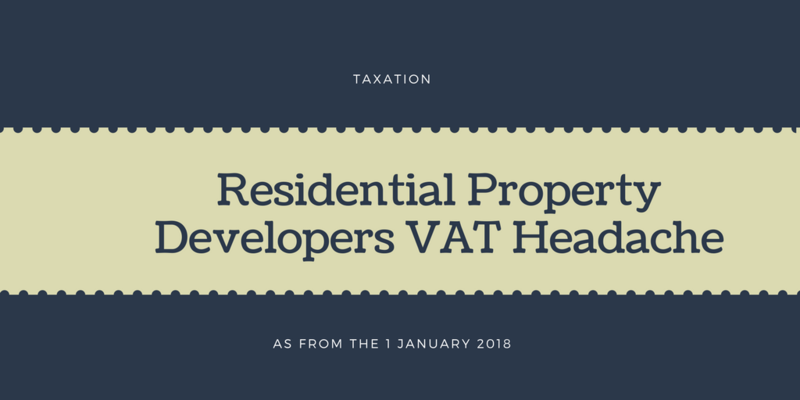 The developer must be able to satisfy SARS that it has a cash flow problem and is unable to settle the VAT in a single payment, and that its financial position is likely to improve in the short term. SARS may also request the developer to provide suitable security before it agrees to the payment of the VAT in instalments. If the developer has paid the VAT on an unsold unit which is temporarily let and it subsequently manages to sell the unit, then VAT is payable on the total sales consideration; the developer can then deduct the total VAT amount previously paid. It was hoped that SARS and National Treasury would address the problem in the 2018 National Treasury Budget, unfortunately this did not materialise. Both the New Zealand and Australian tax authorities have successfully addressed this issue, and guidance could be drawn from them to find a suitable solution in a South African context.